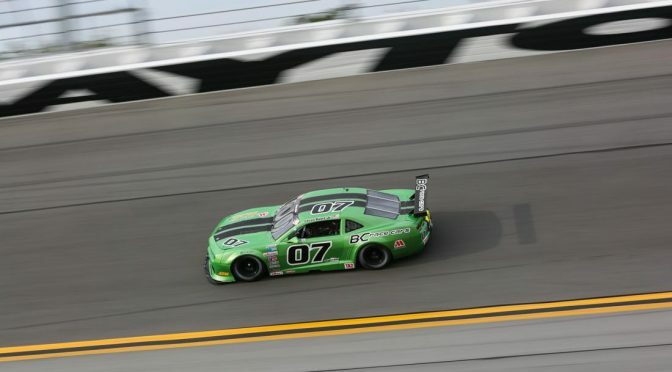 BCR Salvages two top 10s at Daytona! Not the ending to a most successful season we were hoping for, but we still walked away proud of our drivers, crew and the race cars we prepared. 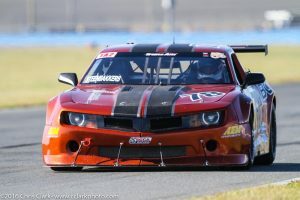 BCR had four cars running at the season finale for the SSCA Trans-Am TA2 series, welcoming Kevin Poitras to the team. Thursday’s practise proved tough as all cars reported very loose and we simply were not up to our usual speed at this great racing track. So we went back to baseline, re-scaling and repairing all the cars, and Friday proved much better, as the drivers reported significant improvements. In qualifying, Steve Kent Jr. led the way with an 8th place effort, having received a significant tow from team mate Kevin on his hot lap. Kevin, unfortunately, did not get a clear lap in, placing him 14th. Harry Steenbakkers also got no help, but somehow managed a super lap, placing him 10th on the grid. Mike McGahern similarly struggled to hook up with a drafting partner, but also qualified a personal best lap time, placing him 17th. We were super excited for our race chances as we knew the cars and drivers did not show their full potential in qualifying! Racing can be a cruel sport at times, with all 4 of our cars suffering from various ailments during the race. Harry’s #78 developed an engine problem on lap 1 that we could not remedy in the pits, retiring on lap 7. Mike’s #48 BCR/Ottawa Solar Power Camaro had to run off course to avoid a major crash when two cars spun in front of him, severely damaging the car as the splitter dug into the earth. 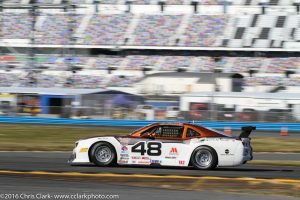 While the damage was mostly repaired in pit lane, Mike was too many laps down and effectively out of the competition, reliability earning him a respectable 17th place finish. 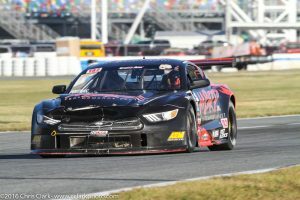 The #07 Millers Oils/BCR Camaro and Kevin’s #73 MBRP/Post Plastics Mustang got into a fender-bender on the first lap, caving in the noses of the cars. At this high speed circuit, such parachutes created so much drag that the cars lost 5-10 mph on the banking, and they became sitting ducts for their competitors. Even so, they finished 9th and 10th respectively, dreaming of what could have been! Again, many thanks to the crew for their tiredless dedication in giving us safe, fast and reliable race cars!